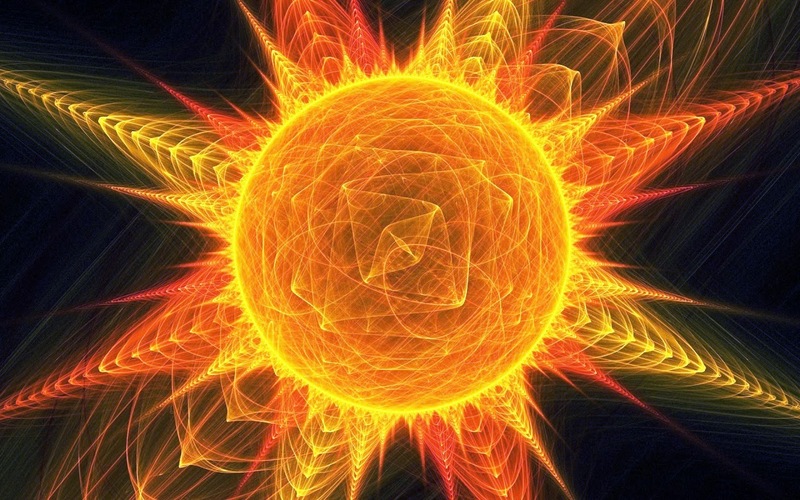 From before this lifetime, I had been in conscious connection with a group of enlightened energy beings, which call themselves the Solar Council or the Light Council of the Sun. They meet inside the space that is occupied by our Sun, in the 4th dimension of our Solar System (we, humans, live on a 3rd, where the physical sun is). Solar Council consists of ascended masters (enlightened humans) and many other ascended species (humans are not the only conscious species on Earth and in the Solar System) like Hathors, for example, who live on 4th dimension of Venus; and many other non-human species who either developed in the Solar System, or had participated in the development of the Solar System and due to their involvement have a seat on the Council. They monitor and support the development of the Sun, the Earth and the other planets and life-forms on them, but they do not dictate destiny to us, they are not "gods," and they are not manipulating anything. Many of the Solar Council members have a unique enlightened point of view on human development, and they support and guide with love, understanding and wisdom. But we, the humans, ultimately make our own destiny - no one decides for us. We must build our own Selves, contain our power (instead of projecting it onto some external masters). We can all benefit by the Solar Council's wisdom! 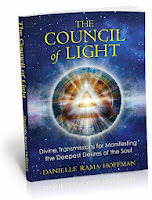 In Danielle’s new book The Council of Light she talks about her communication with conscious beings, supporting our evolution, beings that I know as the Solar Council – in relationship to our Solar System and the planet Earth. Danielle, what is your understanding of the Council of Light and, from your communication with these beings, what do you see as their “mission” in relationship to our planet? Can you advise how people can communicate with them? My understanding of the Council of Light is that they are an intergalactic group of thousands of light beings. Their mission is to enhance the vibration of joy and therefore health, wealth and happiness and to assist those that are choosing to shift into Unity Consciousness. To connect with the Council I recommend moving into a peaceful state and asking to meet your personal Council of Light (as each person will have their own unique blend of light beings that is in alignment with their soul lineage). Then just allow your sensations and tune into what you are noticing on all levels. You may notice a physical sensation or an inner knowing or hear something. Just spend a few minutes in this way and when you have a sense that this initial introduction is complete just ask for a word, a symbol or a color to connect to them in the future. There are a lot of exercises in The Council of Light: Manifesting the Deepest Desires of the Soul to support forming a direct connection with the Council of Light. In The Council of Light you talk about Duality coming into Unity. Can you extrapolate on this and perhaps recommend an exercise? As our awareness shifts into Unity Consciousness (wholeness in tune with All There Is), there is the knowing that duality is immersed in a larger whole. That everything exists in each and every moment, bliss exists now, joy exists now and The Council of Light provide a lot of exercises and tools in redirecting our consciousness to the larger picture of wholeness. Often stating that there is more to be learned from Unity Consciousness than repeating another pattern of separation or lack. And that we have chosen to incarnate during an overlap time, one in which separation/duality was the norm and now unity is being remembered. And like any transition there is a process in which we need to forget that which we knew before (separation) and remember what we know now (Unity). Here is an exercise from the book about how to speed up the energy of duality until it is in a place of wholeness awareness. How do you reconcile the inner knowing that “we have all that we need” with so many people’s needs unfulfilled? Personally I reconcile this with more inner knowing. By remembering that each person creates their reality and that everyone has access to all they need. That everyone is equal, that no one is better than or worse than another, that in fact we are each empowered creator beings. And as I see the creations of others that may look like needs unfulfilled I hold in my mind's eye the awareness that regardless of how it may look to me, to that individual they are living the perfect life for them, their soul and their evolution. That the best thing I can do for them and for me is to see them in their wholeness and to be in mine as much as I possibly can. You talk about the Solar Ray in your new book. Please explain how the Solar Ray fills the tear in the fabric of creation? The Council of Light offers 11 Rays of Light to support the manifesting of the deepest desires of the soul (creation). The Solar Ray is the now ray and provides a frequency and vibration that supports each individual to be current with who they are, to be the Divine being that they are and to do so in the now. Being in the now is the most potent place of creation and manifestation. The Solar Ray unravels or absorbs the illusion of overlays, separations and distortions including that of the past, present and future to allow the currency of now to shine through. Thus magnifying the fabric of creation that exists in the now in its wholeness. The current time on the planet is all about the importance of being an individualized Self, about personal uniqueness, while being in Unity. The Emerald Light is the energy of kindness and unconditional love, and I use it a lot in my healing sessions, and in my Night Quads as a soothing component, which helps us to be brave, accepting and enough in order to stand in our uniqueness. I like how you wrote in The Council of Light that “being You is a choice”! That is very true. Can you say more about this Individualized Oneness state that we are entering? In the last 10 years of my personal meditation time the message I receive from my guides is that the easiest way for each of us to traverse this shift in consciousness is to be ourselves full out. That as we are vibrating our unique essence, unbridled and authentically this sends out a broadcast to the universe that is clear. Separation consciousness was based in surviving and following the tribe, not standing out, playing small, being invisible all seemed to support survival. Unity Consciousness is based in thriving and following our inner knowing and being visible as an individual. As we are connected to this inner knowing and broadcasting our unique essence we are positioned from the inside out to be in the perfect places, situations and opportunities. Really the only way we do know oneness is being at one with the Self. This then allows the interconnectedness of all things to be known to us. The Emerald Ray is the You Ray, calling upon it can support this shift with greater ease and grace. As the planet awakens, human beings are experiencing an opening in perception. Many people are having a hard time with this new energy. In such times the physical body becomes even more important as an anchor and a translator for the higher frequencies. Can you talk more about connecting to the higher realms through the physical body, and perhaps recommend an exercise? Very well said, we can only evolve into higher states of consciousness or awakening if all of us is on board. This includes the physical body, our thoughts, emotions, energy bodies…As perception opens so does access to our human brilliant systems, that we have tools and awareness within us that we haven’t even begun to utilize. The first exercise I would recommend is that each individual ask their inner knowing what would support their body during this time. The second exercise I would recommend is physical exercise: moving the body goes a long way in supporting the awakening process. It is often hard for people to know what they really desire, and it takes a lot of personal work to clean up the issues of the Lower Self in order to find the true Soul-Self desire. Yet even then, even if they know what they desire to create, the obstacles on the path stop them. 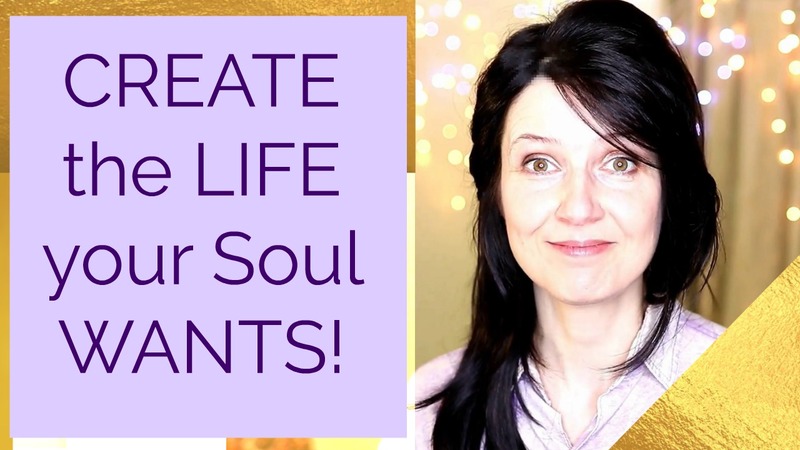 There is an assumption that if the desire was from the Soul-Self, there should be no obstacles on its path… Can you talk about these self-created obstacles and perhaps ways of clearing them? What comes to me as I read this question is two things, first that creating a communion between the Soul-self desire and the Lower Self desire can be very useful in creation. For the Lower Self has a sense of desire that is palpable, it knows how to desire, yet it often does so from the lack of the desire. Whereas the Soul-Self desire is often very connected to the wholeness or connection to the desire already being met, yet sometimes is less connected to a sense of wanting anything (because from this perspective everything is present in all ways). Being able to merge the power of the desire from the Lower Self with the awareness of wholeness (what you want is a birthright) is a powerful place to come from. Secondly, the first place I would recommend to clear up perceived obstacles is to have a practice when something comes up of asking “Is this mine”? And if not send it back to the source from which it came with love and appreciation. A lot of our perceived obstacles are overlays that we bought from tribal consciousness in order to survive. Having a regular practice of sending back anything that is not you or your back to the source from which it came, and calling back to you that which is uniquely you or yours will support in completing these patterns.